Recently retired? There are many new provisions on the tax return that could apply to couples for the first time, so filing early and with qualified professional help can be important. How you treat private pension income and Old Age Security benefits, for example, can have many positive tax outcomes. Cutting Taxes on Private Pension Income. Filing a tax return at the same time as your spouse when you start receiving periodic benefits is paramount. This is because you may be able to jointly elect to split up to 50% of eligible pension benefits to get a better tax result. The election is made year-over-year on Form T1032. You can split private pension benefits from an RPP (employer-sponsored Registered Pension Plan) regardless of age, but to do so with RRSP savings, you must wait to age 65 or later. However, it’s possible to do some tax planning with your spouse; that is, consider withdrawing taxable RRSP amounts in the hands of the lower earning spouse first – in the years before age 65 – and then split the accumulations between spouses at age of eligibility. You’ll want to adjust your prior filed returns now if you didn’t elect pension income splitting in the past, but qualified to do so in the past 3 years. Be aware that the election for your 2011 pension income benefits expires on April 30, 2015. Also do note that you can’t claim both the Family Tax Cut and pension income splitting, so if you still have minor children at home while collecting your pension benefits, work out the best tax benefit. Using Options to Defer OAS. The annual Old Age Security (OAS) benefits to be reported as income in 2014 are $6,676.59. Recall, the monthly amounts change every quarter, if indexing is applied, and they are taxable. However, a high income clawback kicks in when net income reaches $71,592. The OAS is completely clawed back if net income is over $116,103. That’s a nasty surprise, but in addition, OAS benefits will be reduced or eliminated at the start of the next benefit year in July. Therefore taxpayers who qualify to make an RRSP contribution – for themselves or under a Spousal RRSP for a younger spouse –could trigger tax savings and eliminate the OAS problem too. Another good idea is to consider deferring the OAS to age 70. That’s a great way to embellish future benefits by about 40%. This makes plenty of sense, too, for those who lose their OAS to the clawback anyway. Check this out with your tax advisor. This is a good time of the year to discuss family health – with your tax advisor! DON’T MISS MEDICAL EXPENSES. Millions of taxpayer miss claiming medical expenses every year for their spouse and other dependants. This generally involves keeping receipts for expenditures that are not reimbursed by a medical plan. Note that the cost of premiums paid to a private medical plan, like Blue Cross, are claimable too, so check your T4 slip. Newly claimable this year, are the costs of service animals which help to manage severe diabetes and the design of personalized therapy programs for the disabled. In addition, the cost of a patient and a dependant may be claimed for receiving medical care not available to a patient in the home community. You must travel at least 40 kilometres outside your home area to claim travel costs; 80 kilometers to also claim meals and lodging. Keep a distance log and claim either your actual gas receipts a cents per kilometer method. Use 48.5 cents per kilometre in Manitoba; that compares to 57.5 cents for taxpayers in Ontario; and 45.5 cents in Alberta. Meals and lodging claims are based on receipts. THE DISABILITY AMOUNT: A MOST LUCRATIVE TAX CREDIT. The Disability Tax Amount is claimed by someone who is markedly disabled on a permanent basis, or their supporting individual. Especially at risk for missing this claim are those with progressive diseases, like Alzheimer’s or cancer, who may begin to qualify for this non-refundable tax credit sometime after diagnosis. In addition, survivors can still make the claim for deceased loved ones. There is also a supplemental credit for minor children. You need to have a doctor or other qualified healthcare professional fill in form T2201, Disability Tax Credit Certificate. In many cases the information provided by the healthcare professional may indicate several years of impairment. Previous tax returns can be adjusted for the tax credit for each year that the Disability Tax Credit Certificate has been approved by CRA, in those cases. It’s Your Money. Your Life. Advisors can greatly enhance their value proposition by helping families supporting the sick and the disabled to tap into tax credit claims this tax season. Clients can do their part by making it their business to keep expenditure receipts and not be shy about discussing changing health issues. Those extra tax refund dollars could go a long way to fund unreimbursed costs or respite breaks. No Time To Waste: TFSA, RRSP or Both? It’s February – no time to waste. There are two very important investment opportunities to take advantage of now, but you’ll need to plan to put much of that February pay and your savings accounts to work for you now. The smart money goal: be sure to make your RRSP and TFSA contributions. MAXIMIZE RRSP DEDUCTIONS – CONTRIBUTE BY MARCH 2. Dig out your 2013 Notice of Assessment to check out your personal RRSP Contribution Room before the contribution deadline of March 2, 2015. Did you maximize your RRSP Room? If not, you could fatten up your tax refund. The maximum contribution room you could have earned for 2014 is 18% of earned income up to $24,270. But your room may be higher if you haven’t maximized your contributions in the past. But, be sure you don’t over-contribute. Excess contributions – the amounts over your RRSP room plus $2000 – are subject to a 1% per month penalty tax, which must be paid by March 31. Form T1-OVP is a bit of a nightmare, so see a tax pro for help. TFSA SAVINGS ROOM UP TO $36,500. Despite the fact that there were no increases to additional contribution room for 2015, you can and should contribute an additional $5,500 to your TFSA as soon as possible this year. TFSA contribution room became available to Canadian adult residents on January 1, 2009, providing a total of $36,500 of available room since 2009 (4 years at $5,000 and 3 years at $5,500). Contributions to a TFSA are not deductible, however income earned within a TFSA and withdrawals made from it are not subject to tax. TFSA activity does not affect eligibility for federal income tested benefits and tax credits, such as Old Age Security, the Guaranteed Income Supplement, the Canada Child Tax Benefit, the Working Income Tax Benefit and the Goods and Services Tax Credit. TFSA contribution room accumulates every year, if at any time in the calendar year you are 18 years of age or older and a resident of Canada. You do not have to set up a TFSA or file a tax return to earn contribution room. It’s Your Money. Your Life. You have every opportunity to set up your future to maximize your choices and live a peaceful financial life. Even if you can’t contribute the maximum to your RRSP or TFSA, try to increase your tax refund with an RRSP contribution before March 2. Then put that tax refund into a TFSA. Check with your designated tax specialists and financial professionals to make sure you are eligible. 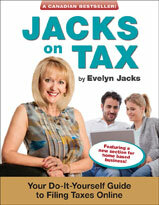 Author Evelyn JacksPosted on February 5, 2015 Categories Income TaxLeave a comment on No Time To Waste: TFSA, RRSP or Both?